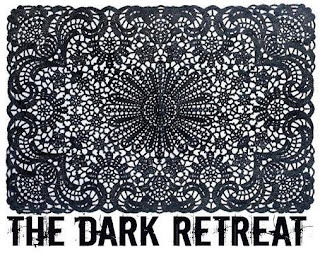 The Dark Retreat are a duo consisting of Kaytee DeWolfe and Wayne Page, who were two-fifths of the now-defunct Birmingham act Bi-Polar Baby. They are currently unsigned and have nothing that you can buy, but they have created their own page on the Bandcamp website with ten songs available to listen to - only streaming, I'm afraid, and not downloadable. Kaytee and Wayne recorded these songs in their mini-studio at home, but the quality is better than a lot of music that's recorded in a professional environment. The number of songs may well have increased by the time you check the website; their recent work rate has been quite impressive, particularly when you consider that they've just had their first child in between recording all these songs. Perhaps the best way to describe the band is to use their own preferred term of "rock noir". Although The Dark Retreat don't exactly sound like these acts, I'm sure their music will appeal to fans of P.J. Harvey, Nick Cave and the like. A couple of the tracks feature intricate guitar lines that sound, to me at least, like they could have come from a classic goth hit from around 1983. I also picked up a very subtle undercurrent of Depeche Mode, but it's nowhere near as prominent as I would have expected given that Kaytee has the DM logo tattooed on her arm. 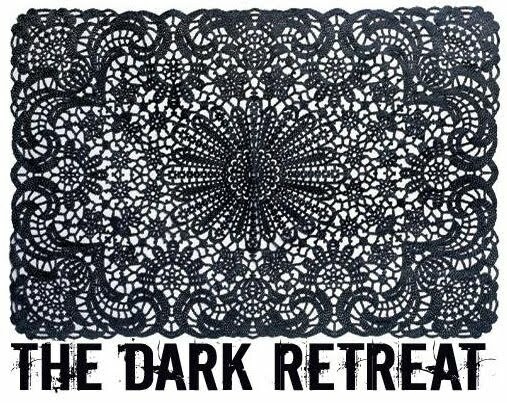 The Dark Retreat have been influenced not so much by Depeche Mode's sound as their attitude to songwriting. Listening to all ten tracks on offer, you will notice that the style changes from one song to the next in the same way that a DM gig easily switches from an all-out rocker to a Martin Gore ballad. The songs themselves feature some very moving lyrics, which are thankfully displayed on the website. Most of them are sung by Kaytee and at times she hits such high notes that I need the printed copy to work out every word she sings. Perhaps the strangest in terms of subject matter is "Angel of Soho", a tribute of sorts to the recently-deceased artist Sebastian Horsley. You may recall that I saw him at a Current 93 gig earlier this year, not long before his untimely death, so I was surprised to find that anyone else had even heard of him, let alone written a song about him. My favourite two tracks deal with more personal subject matter. "Infatuation", in particular, refers to a topic that will be familiar to many of us, and reading the lyrics, we will probably all try to tell ourselves that we're now too old and wise to get ourselves into that kind of mess. As Kaytee so accurately puts it at the end of the song, "The hardest thing's the walking away", which leads us nicely into the next track, "The Silence". I see this as the sequel to "Infatuation", as it deals with the unfortunate situation that arises when you do manage to walk away. This one is sung by Wayne, proving that he's more that just a great instrumentalist. The atmosphere created here reminds me of the Richard Hawley album I reviewed last year. It's something to be listened to alone, late at night, as you reflect on your past mistakes. As with some of Richard Hawley's songs, "The Silence" can be a difficult listen because it comes a little too close to a real-life experience of my own. I'm aware that on these pages I have a tendency to write about music that is (a) made by my friends and (b) difficult to get hold of. I find it heartening that some of the best music I've found recently is written by people I know, who are doing it for their own enjoyment rather than for profit. I have already nagged the band about these songs being available in some format other than just streaming. I realise that I'm rapidly becoming a minority with my love of physical products, but perhaps if I can get a few more people interested then it will convince Kaytee and Wayne at least to make the songs downloadable. I'm assuming that the Bandcamp site provides some form of listening statistics to the people who uploaded the songs, so please get yourselves over there now and play a few of these tracks, so we can prove to The Dark Retreat that they have a bigger audience than they thought.